The other day at the grocery I noticed that the packages of chicken breasts were now being sold without the styrofoam trays. What a simple yet fantastic step in the right direction! 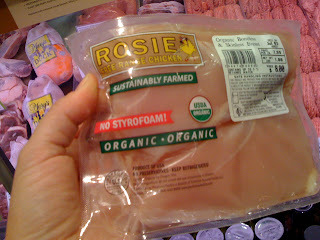 Hopefully many more chicken producers and grocery stores will follow their lead. Noticed the same thing. Way to go chicken people!